My first post of 2015 is for last wedding of 2014 season I planned on Lake Orta. 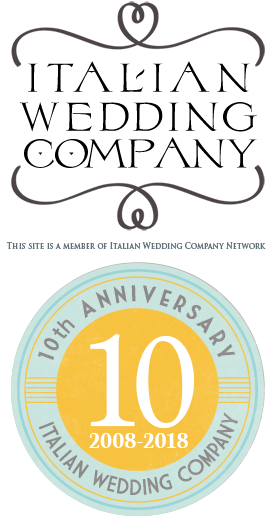 As wedding planner on Lake Orta I can say that 2014 was surely a great year full of wonderful events and lovely weddings. Gaelle and Ryan’s wedding was the best way to close such a great challenging year! I had the pleasure to meet Gaelle in Orta in 2014 summer. She is a wonderful smiling person. She is American but she is fluent in Italian. She studied at MIP in Milan. A clever, smart and smiling young lady with a refined taste. 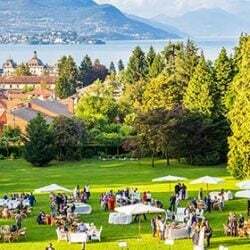 Italian Lakes are famous for romantic atmosphere, great landscapes, lovely villages: all these elements create a perfect combination for destination weddings in Italy. That is not enough! Italian Lakes District is surrounded by wonderful mountains and Alps valleys that during Winter season they become enchanted snowy landscapes easily reachable by car: the perfect destination for a winter wedding! You will have lots of choose! Fireworks over Lake Orta: a great show you cannot miss! 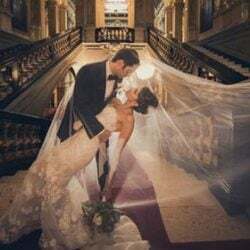 While there’s certainly an element of romance to the idea of a wedding at your local church or city park, your big day is a rare occasion that deserves elevated treatment. 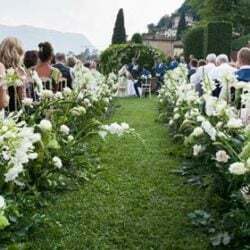 For a wedding that surpasses your guests’ expectations and creates a lifetime of memories, consider one of Europe’s most convenient and beautiful spots for tying the knot: Lake Como.